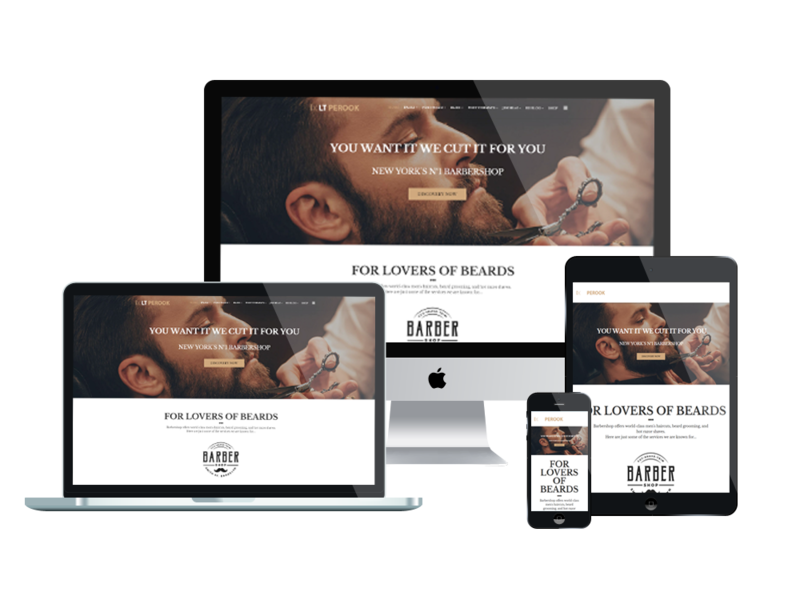 From now you will not have to waste time going around to find a theme which is better than One page Barber Shop WordPress Theme! 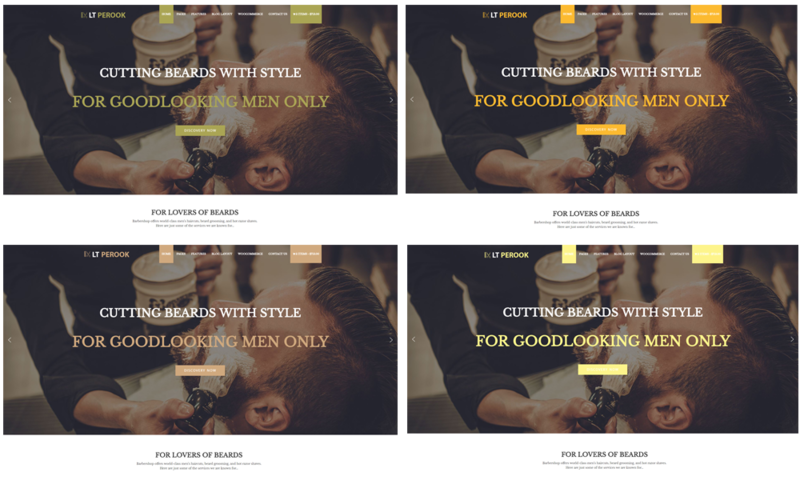 LT Perook Onepage is a special single page version of LT Perook WordPress Theme(multi-page) that offers you with a unique look for spreading reputation for your barbershop. This theme has a one-page look with smooth scrolling effects and nice content organization, therefore, you will get it easy to showcase all of your business information as well as impressive records or positive feedbacks from customers. 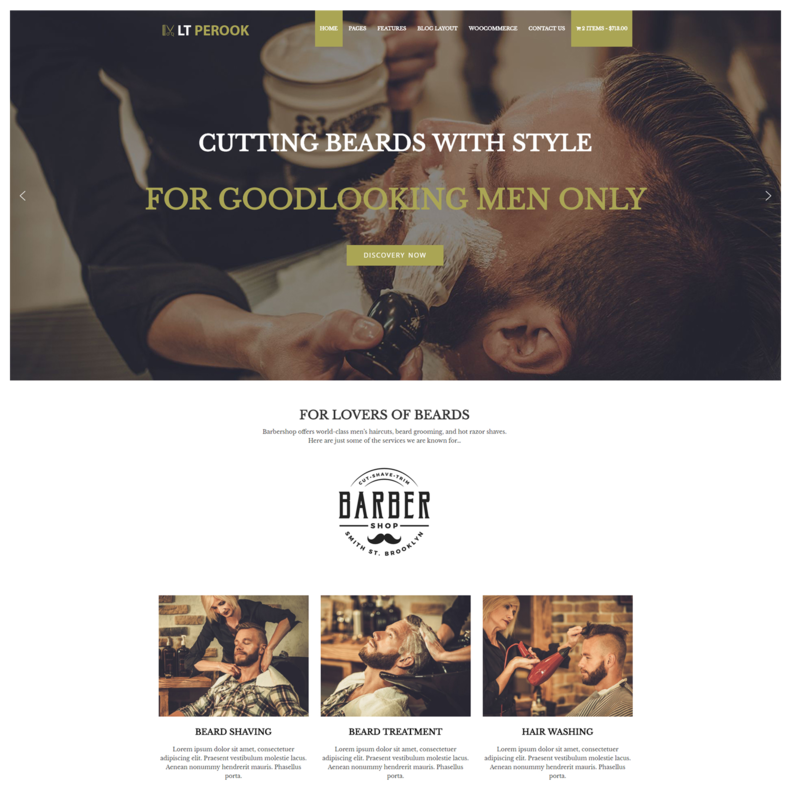 Come with fully responsive layout, LT Perook One page is compatible with any devices and browsers, in a modern and stylish look. Believe us, you will not want to miss this theme!